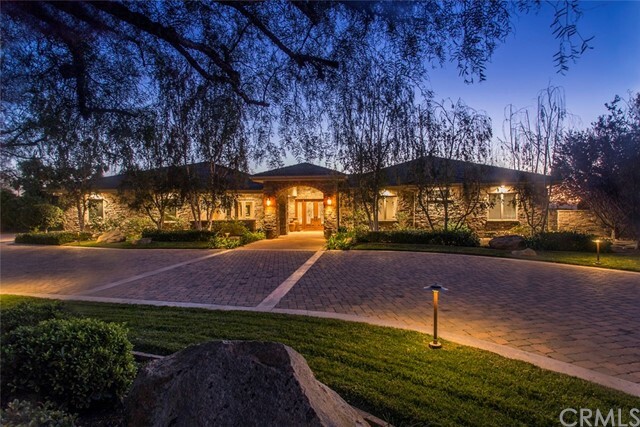 All Bonsall homes currently listed for sale in Bonsall as of 04/26/2019 are shown below. You can change the search criteria at any time by pressing the 'Change Search' button below. "Architecturally spectacular jewel! In 2017, this equestrian estate was completely re-imagined and re-built into a contemporary masterpiece with sweeping panoramic views, solar power & smart home system. Infinity edge pool & spa, large outdoor entertaining areas and well-equipped BBQ overlook the 2.5 acre fenced and gated site which includes a 4 stall barn with in and outs, round pen, tack & feed rooms and large turnout. Includes access to the wonderful Saratoga Estates trails & gated community a"
"Seller entertaining offers between $1.649m-$1.769m. 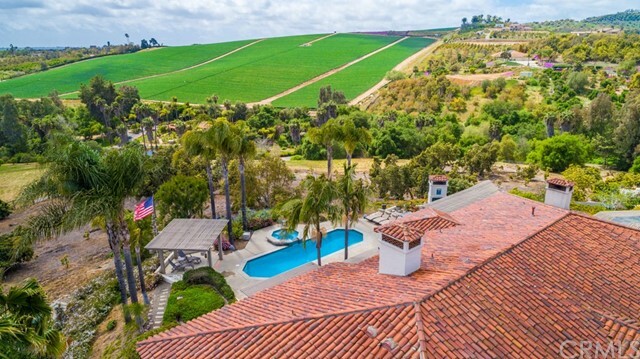 Take in the endless, panoramic views from this gorgeous Bonsall masterpiece. An energy-efficient, Mediterranean Estate w/4 beds, office, 3.5 baths & a sprawling floor plan of 4,746 sqft. Custom built in 2006 by the owner w/only the finest craftsmanship & finishes. Outdoor living features a romantic courtyard w/fireplace, & expansive views of the valley from the luxurious grounds w/built-in bbq, pool & spa for an entertainer's dream home...See s"
"Impressive English Tudor Estate in the Rolling Hills of Bonsall. Private Country Setting with no CC&Rs and A70 zoning allows for many uses. Horse Stables, Farm Animals, Retreat Center, the Possibilities are Endless! Dual Master Suites on First Floor, Great for Guests or Large Family. Gourmet Kitchen, Cozy Family Room, Library Office Suite, Huge Bonus Room, Patio and Beautiful Pool Area. Large Grassy Pastures with Shelters. Fully fenced and Gated. Conveniently located near the 15 and 76 for easy"
" The Sunset Lot . Stunning sunsets and panoramic views from this custom-built single-level two-plus acre estate in highly desirable, gated, Lake Vista Estates. Designed for comfort and entertaining, featuring a true chef s kitchen, great room, formal living and dining rooms, office, and outdoor living. A 1500 SF shop w/bath could be converted to guest quarters. Paid-for solar and LED lighting, and a 45kw backup generator. Paved stone driveway, beautiful l"
"Serene 14 lot consists of 2 parcels. Fully fenced, arena built and privately gated. All utilites are in place and there are 2 sewer hook-ups paid in addition to septic. A historic little house could be guest quarters. There is a lovely meandering dry stream and pond at rear of property. Fully fenced usuable land with a large professionally graded arena. large garage/work shed and a small storage building." "Enjoy sweeping views from your living room! Highly upgraded, modern 4 BD/4.5 BR 2 story home w/ high ceilings, open great room, and spacious chef s kitchen. Downstairs private master suite w/ fireplace, walk in closet and large tub. 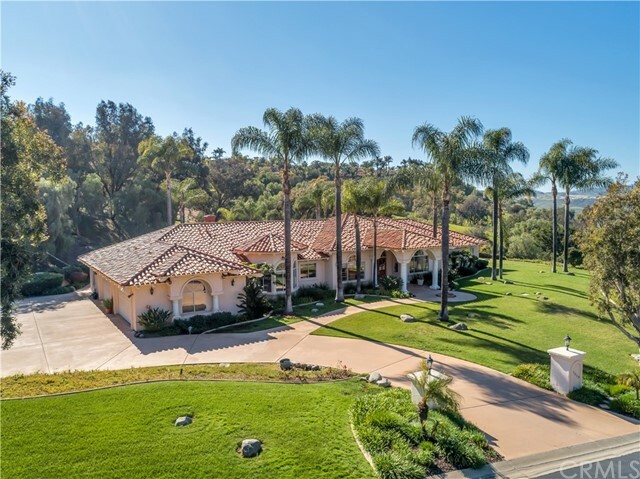 5 acre, elevated lot completely gated and jeweled with luscious lemon grove. Includes a large open entertainment space w/ extended salt water lap pool and cozy fire pit perfect for a warm summer night." "Stunning Views & Ocean Breezes! This beautiful equestrian compound is fully fenced & gated with a seasonal pond, meandering trails & large pastures. Gentle sloping 5.45 acres-orchard-room for a vineyard-gourmet kitchen, huge center island-granite counters-stainless steel appliances--fireplaces in family & living rooms. Luxurious master suite. French doors open out to the courtyard-Swimming Pool-Stunning Views!! Plus charming 1 bedroom, 1 3/4 bath Casita Seller may finance!!! Also for Lease MLS#1"
"Amazing 8.7 acre horse ranch in the peaceful hills of Bonsall. Lovely updated ranch style home has open beam ceilings, huge living room, cozy fireplace & dining area. Gourmet kitchen has been updated with granite counters, stainless steel appliances and custom cabinets. Incredible horse facilities include:4 FCP Barns-Hay Storage-2 Tack rooms-2 Arenas- Huge Pastures & Turn Outs-Meandering Trails-Seasonal Creek-Well-Gorgeous Views! Ocean breezes! Fruit trees! Bring your Investors! Property is now "
"Drink in sweeping panoramic views that provide breathtaking sunsets all year long. This stunning home features the highest quality upgrades and finishes while nestled on a private 8 acre parcel with gated entry in the quaint town of Bonsall. Custom crown molding, woodworking, and plantation shutters bring elegance to every corner of this home. Enjoy cozy nights snuggled up to the fireplace in the master suite or end closet wars with the enormous walk-in closet." "Beautiful Estate property is located in a gated community, on 2.01 Acres. It is a 4541 square foot home. With 4 bedrooms and 3.1 bathrooms according to appraisal information. You have tranquility and privacy, yet you are not isolated, with neighbors and custom homes close by. Spectacular entry way with beautiful columns and arch ways up to a custom wood and stained glass, front door. Leading to the foyer with Chandelier, more archways and columns opening up to the sitting room overlooking the po"
"Stunning, single level custom built home located in the gated community of Lake Vista Estates! Enter the gorgeous front door with mahogany detail laid into the entry travertine tile floors. Gourmet kitchen boasts 7 bar stool seating around kitchen counter top, Cherry wood built in cabinetry, high-end stainless steel appliances, large walk in pantry, breakfast nook and electric automatic UV sunshade on all windows. 4 bedrooms all with on-suite bathrooms. 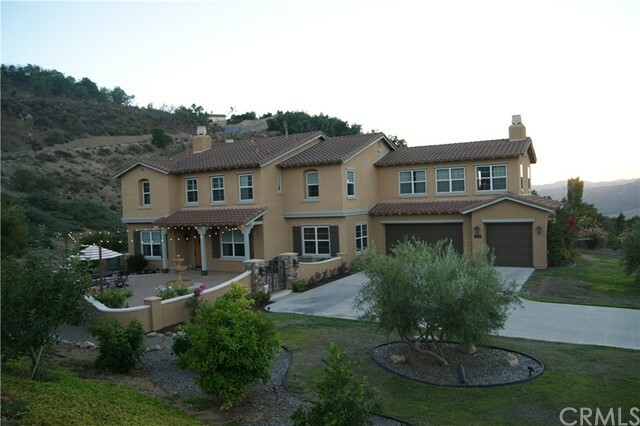 See Supplemental"
"Inspiring one level Bonsall Gated Retreat. Nestled in an exclusive enclave of custom homes, you will be drawn to captivating westerly views including dramatic sunsets. Outdoor kitchen and entertaining deck complete with fire pit. Private pool for relaxation. Gentlemans grove includes avocados and numerous fruit trees. Inside you will notice dramatic wood beamed ceilings and generous room proportions. All bedrooms include private baths. Owned solar system included. Soothing Ocean breezes. Paradis"
"Tucked away in beautiful Bonsall Valley, this gorgeous single-story, 3-bedroom, 3-bath, 4,064-square-foot hacienda ranch home sits on over 3.2 acres of land. Enjoy breathtaking views of your spectacular avocado grove and entertain your guests with your tranquil pool and waterfall spa, bocce ball court, and outdoor fireplace. The recently updated kitchen has all new high-end appliances and is surrounded with large windows, custom maple cabinetry, granite countertops, new tile flooring, and a walk"
"Quality workmanship is reflected in every detail of this sprawling single story home located in the private Lake Vista Estates gated community. Tons of natural light pours into each room with large windows, high ceilings, crown molding and gorgeous 180 degree views! In the past year, hardwood floors were installed, the kitchen was upgraded and the master bathroom was beautifully remodeled. Custom office space with wrap around built in desk and stunning views. Low maintenance backyard w/ infinity"
"Custom built single story home in the rolling hills of Bonsall with stunning views! This completely gated property is situated on a lush, usable 2.16 acres providing tons of privacy while still being close to main roads and 76. Tons of space for soaking up the view or entertaining guests in the spacious backyard with built in BBQ, pool and slide (solar heated w/ auto cover). Upgraded kitchen with Quartz counter tops, center island, farm sink and new appliances. Numerous living spaces for the who"
"REDUCED, Priced Competitively Turn-key estate home with unobstructed spectacular views of Hialeah and San Luis Rey Valley from almost every window. This single story home sits on 3.83 acres of peace and tranquility. It has vaulted ceilings, 4 bedroom suites an a beautiful master bedroom, a formal living room, formal dining room, eat-in kitchen, large family room with fireplace, office (bonus room), custom maple cabinets, granite counter tops and maple wood and travertine floors. High end con"
"Brand new remodel in desirable Lake Vista Estates! Custom home with brand new flooring, kitchen, bathrooms and so much more! Amazing panoramic views that are a must see. Vaulted ceilings, 3 fireplaces, gourmet kitchen...ready to move in NOW!" "****Price drop for a quick sale. **** Best buy in the neighborhood!!! !Sellers ready to move. Beautiful upscale semi custom estate home in Prime neighborhood location . Stunning views from the home as well as peak-a-boo views of the ocean throughout the gated community. Carpet, Travertine and dark distressed wood floors in the bonus/game room which boasts spectacular views. Spacious gourmet kitchen with G.E. Monogram appliances, over sized island with breakfast bar, granite counters, walk-in pant"
"Cheers to Exceptional Living - Raise a glass to exceptional living in western Bonsall, where this newer estate encompasses a gracious single-level residence and a 435-vine Pinot Noir vineyard. Southwestern views across over hills, valleys and romantic starlight. Sprawling lawns, patios, a vegetable and herb garden, and an outdoor kitchen with 2 BBQs, built-in ice chest, bar seating and a farmhouse sink are featured on the fully fenced, pet-friendly 2.05-acre homesite." "Complete 5.5-acre horse ranch with two huge riding arenas, equicisor, 2 tack rooms, fenced pasture areas and stalls for 17 with plans/materials for 12 more! Two detached cottages, each with their own kitchens, updated bathrooms, and individual septic systems make an ideal set-up for the owner-user! Three electric gates for easy access to the whole property, 10,000-gallon water tank, well that pumps 70 GPM, and access to riding trails too! Zoning allows ten horses per acre." "Stunning luxury home on private 3.5 acre lot in the gated community of Sweetgrass Estates. The open floor plan allows for functional family living and formal entertaining. From cocktails on the patio, to dinner in the dining room, to cognac in front of the fireplace, to a late night soak in the jacuzzi, entertaining is a breeze.The family room, and granite kitchen island make casual times just as comfortable. Gorgeous mountain views throughout the home and grounds. See supp. for more."